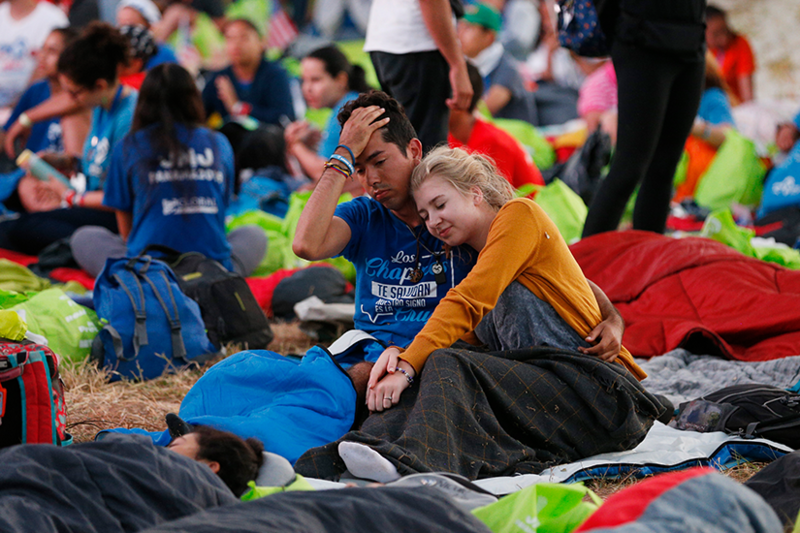 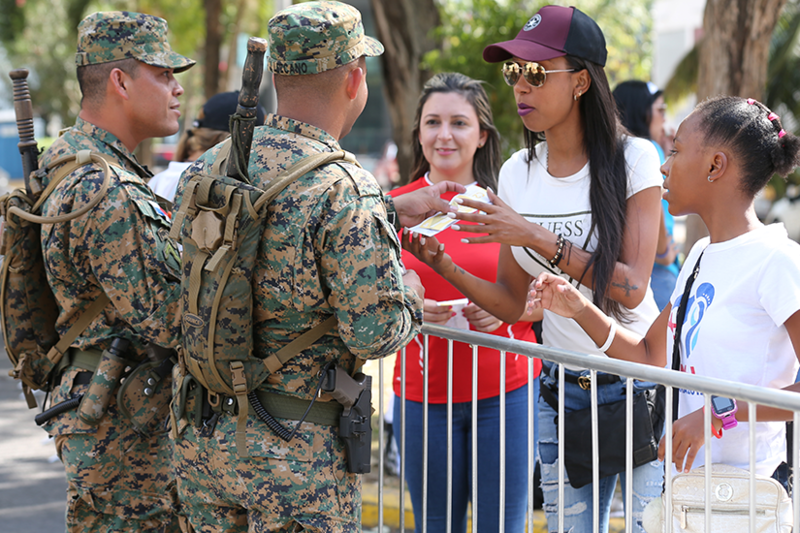 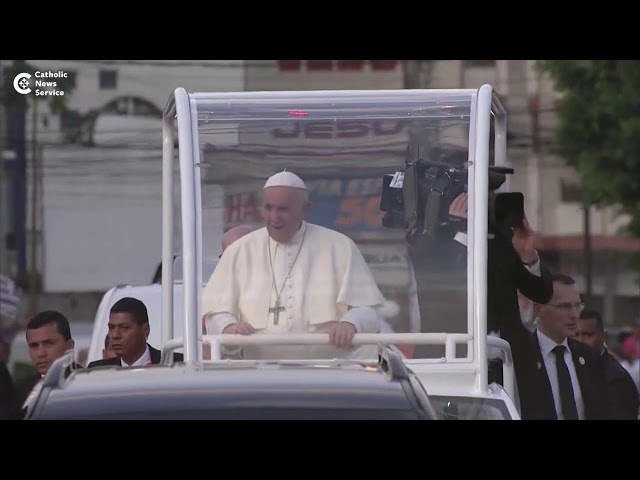 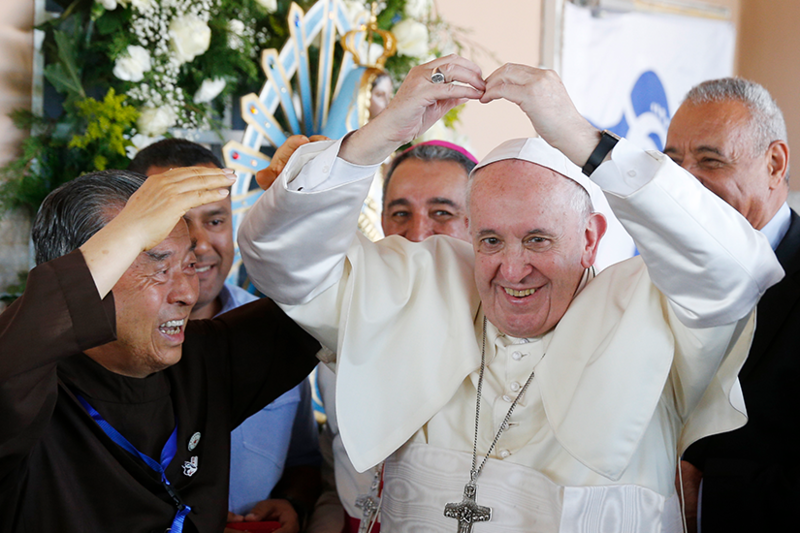 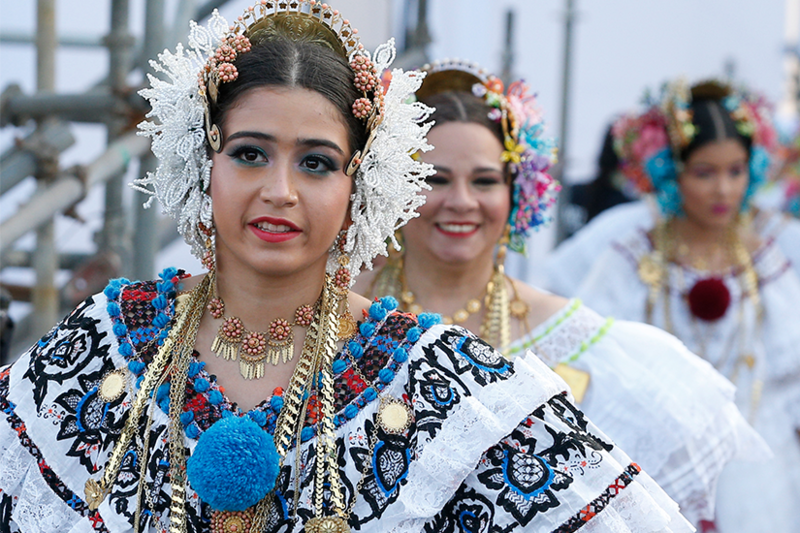 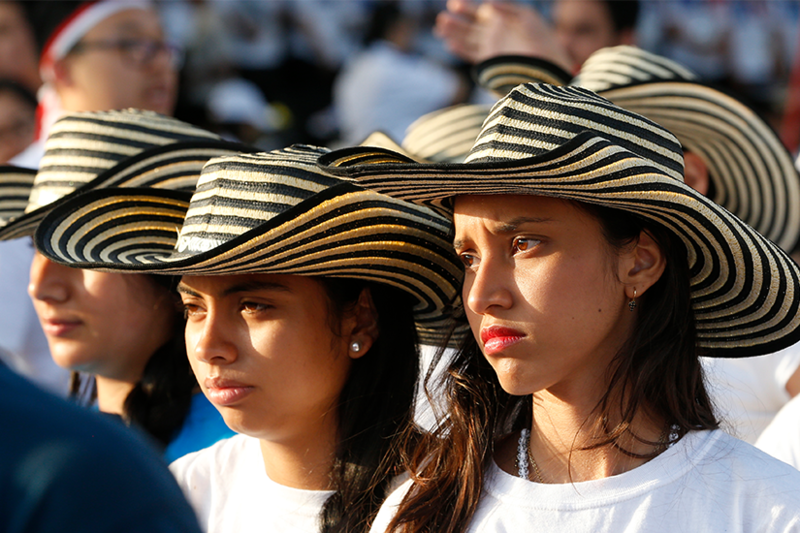 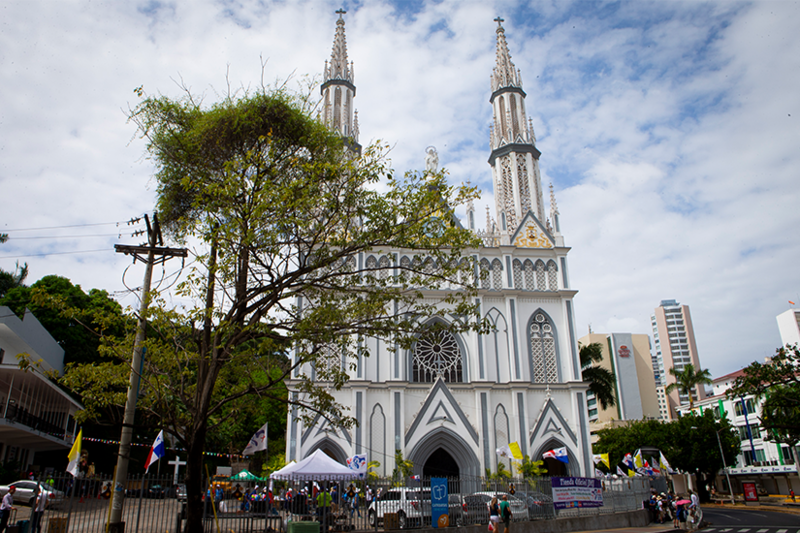 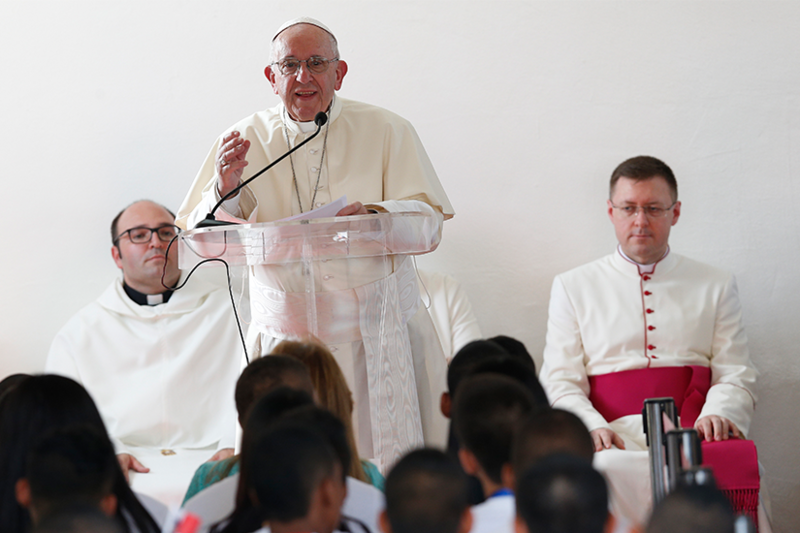 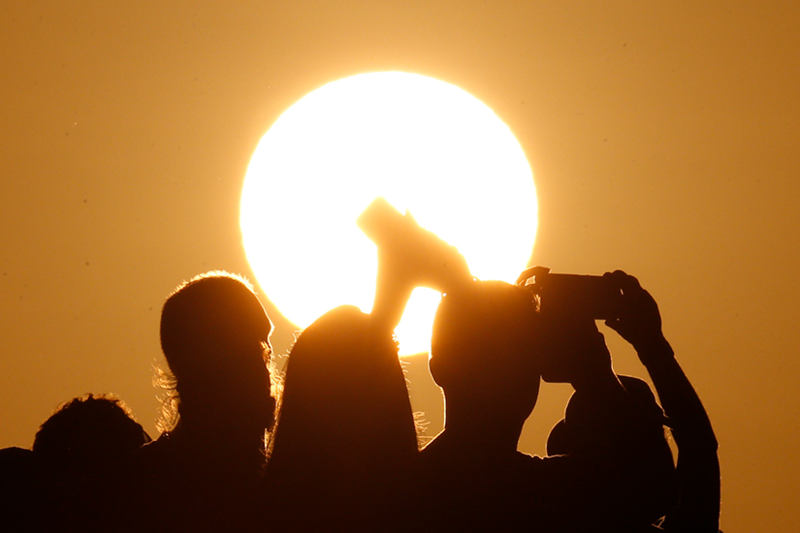 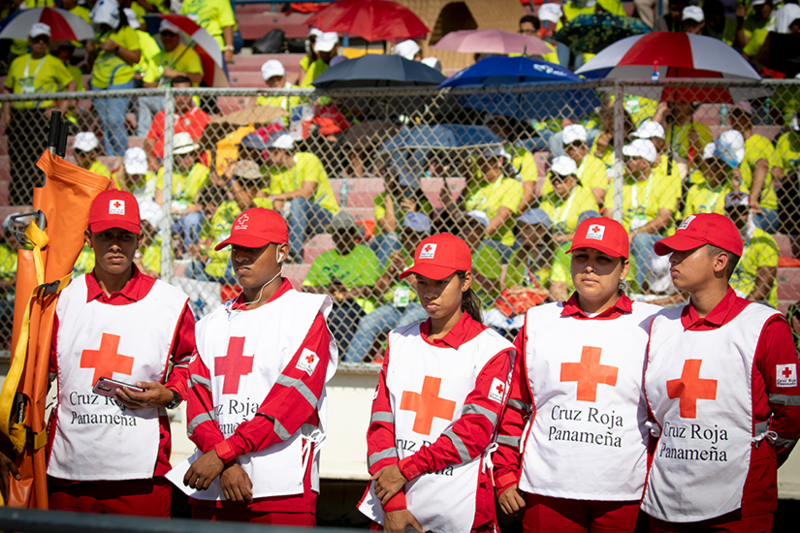 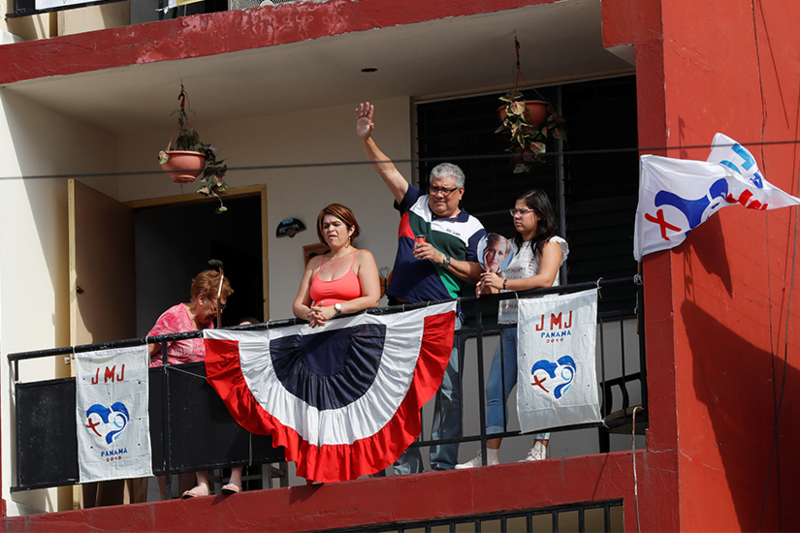 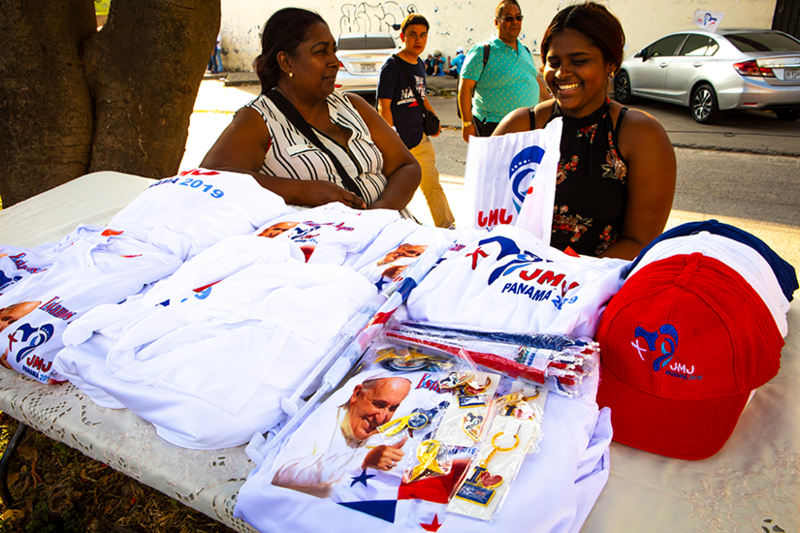 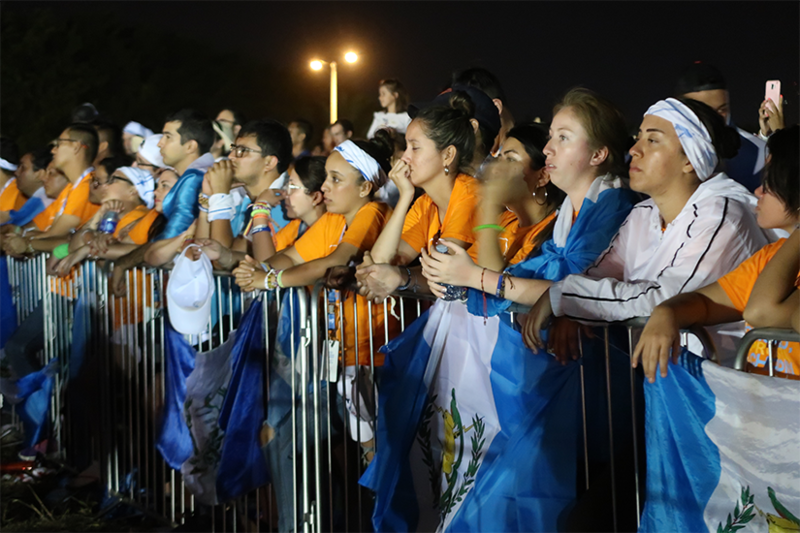 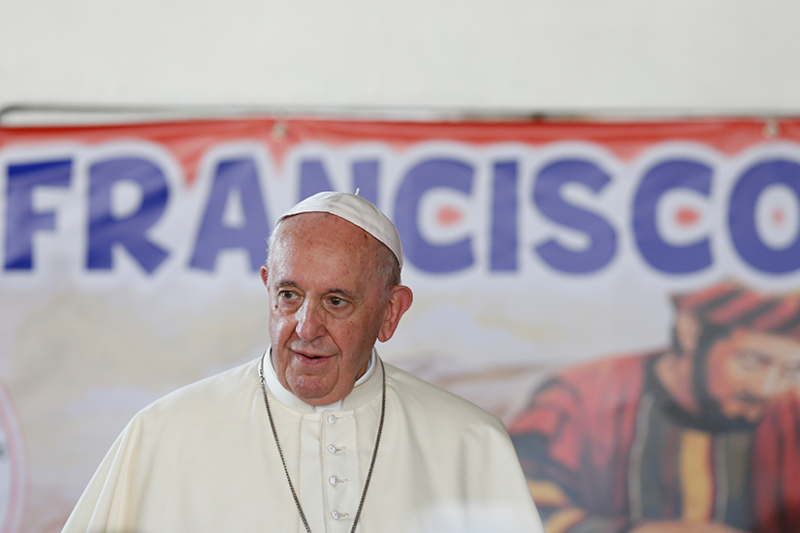 “For Jesus, there is no ‘meantime,’ but only a merciful love that wants to enter into and win over our hearts,” the Pope said at the closing Mass Jan. 27, winding up a week of reflection, renewal and celebration for pilgrims from around the globe who descended on this Central American city. 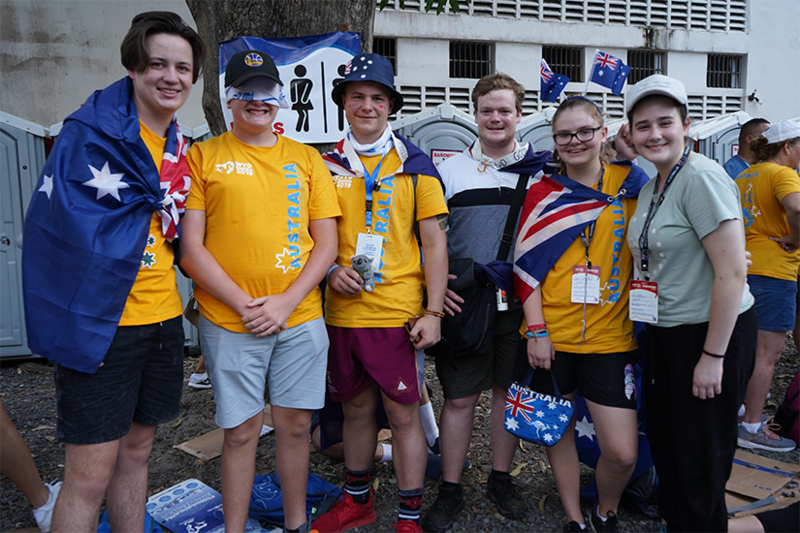 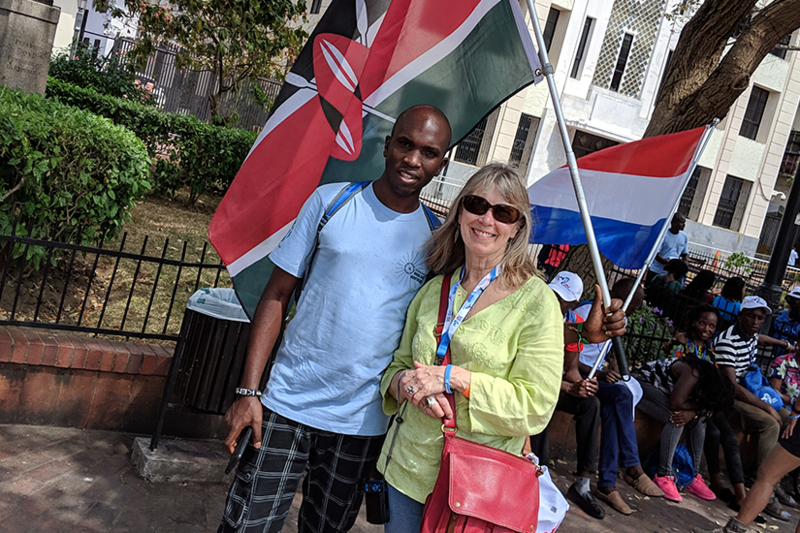 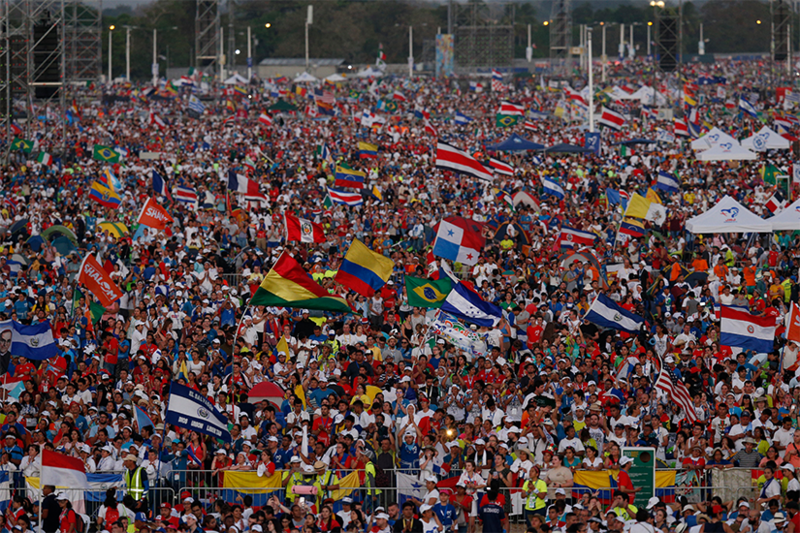 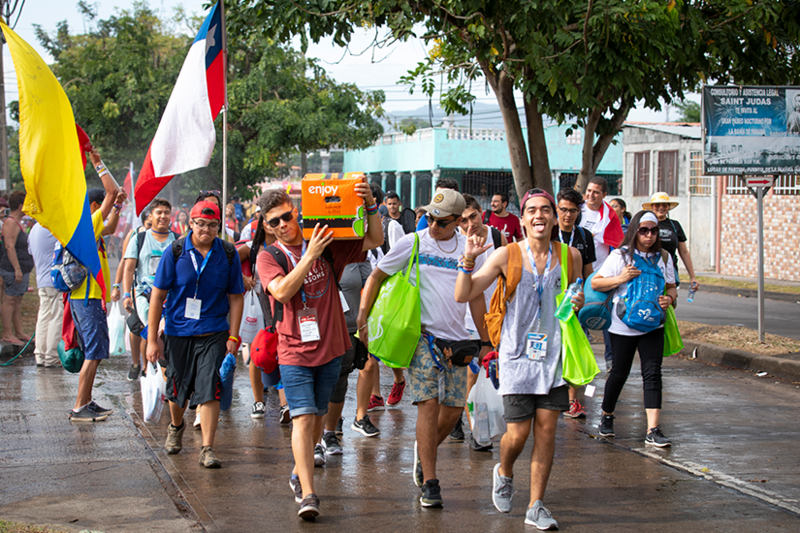 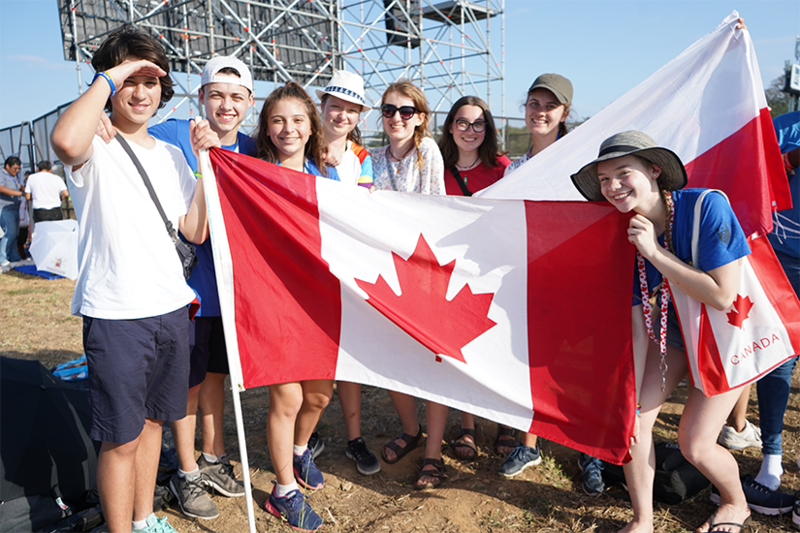 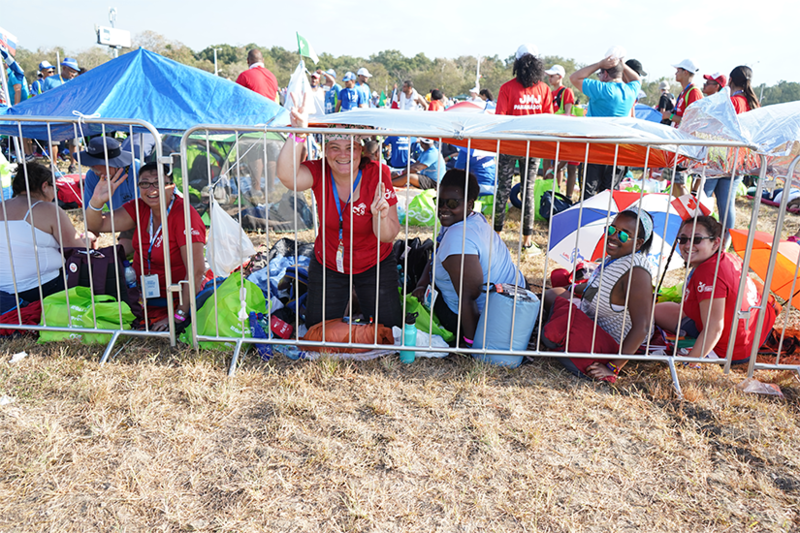 It was announced at the end of the Mass that the next international WYD gathering — the 16th since 1986 — will be held in Lisbon, Portugal, in 2022. 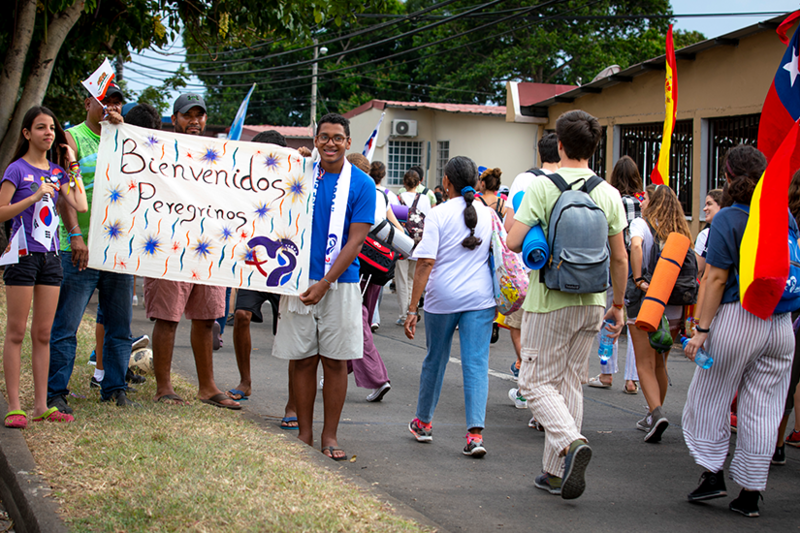 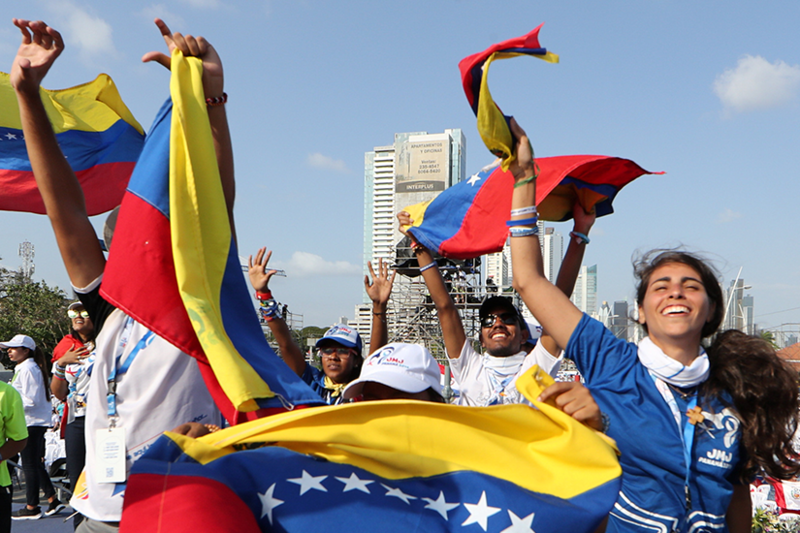 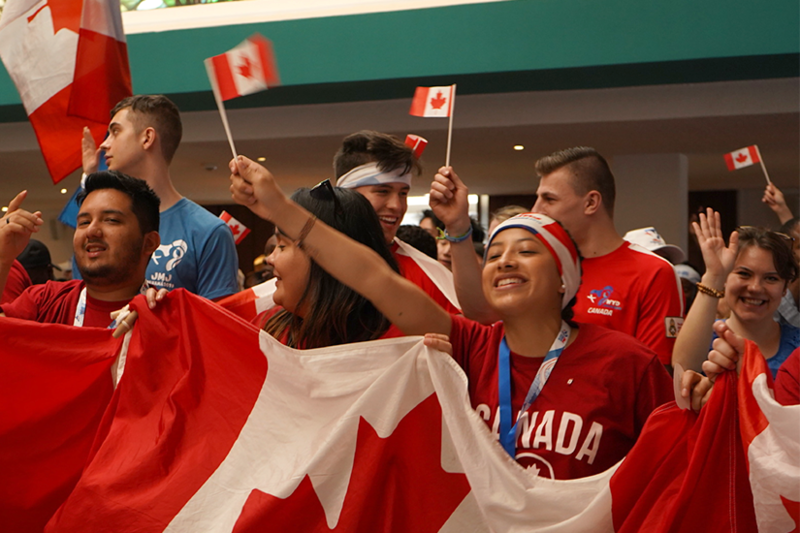 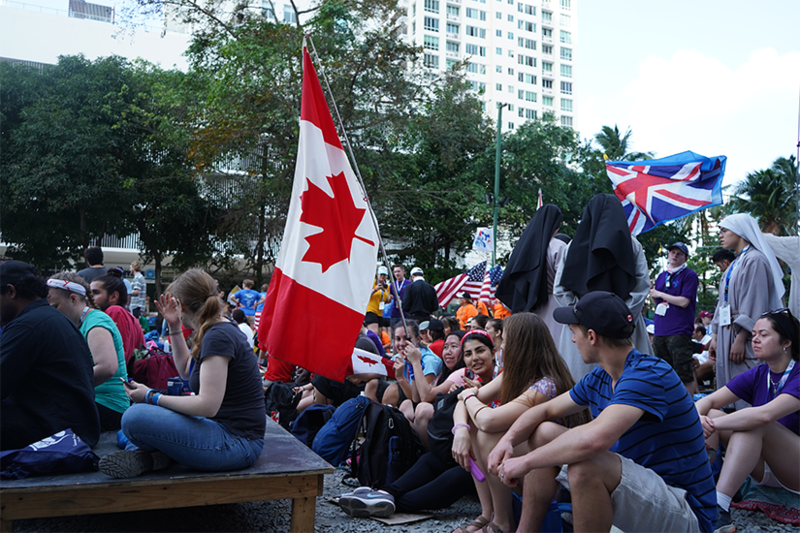 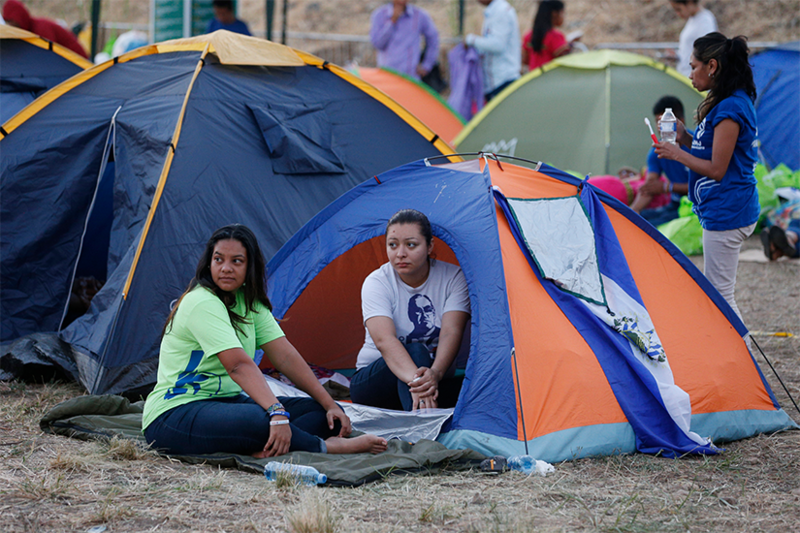 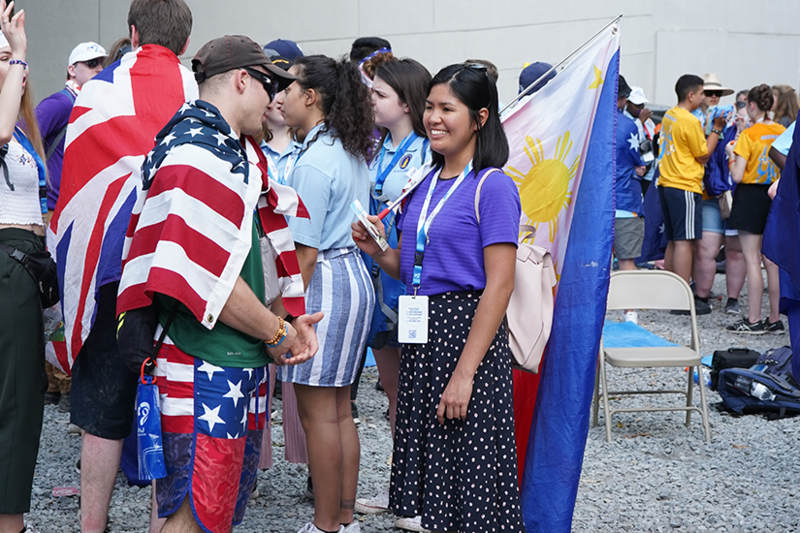 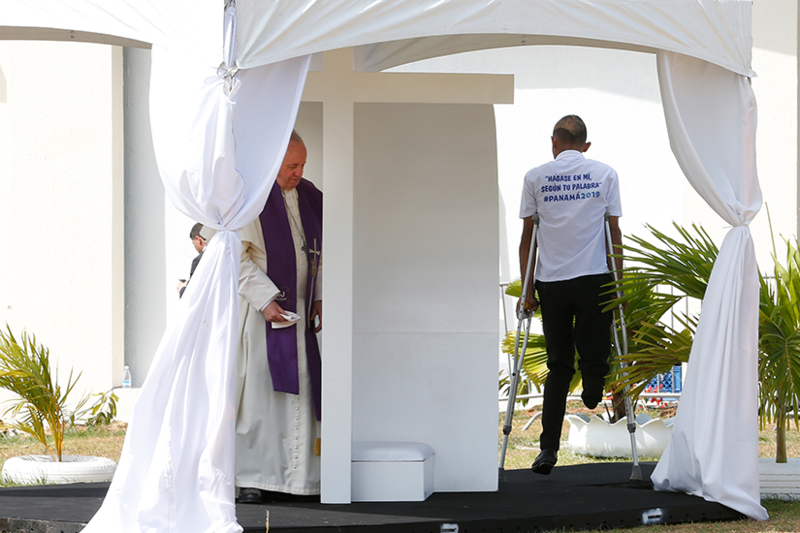 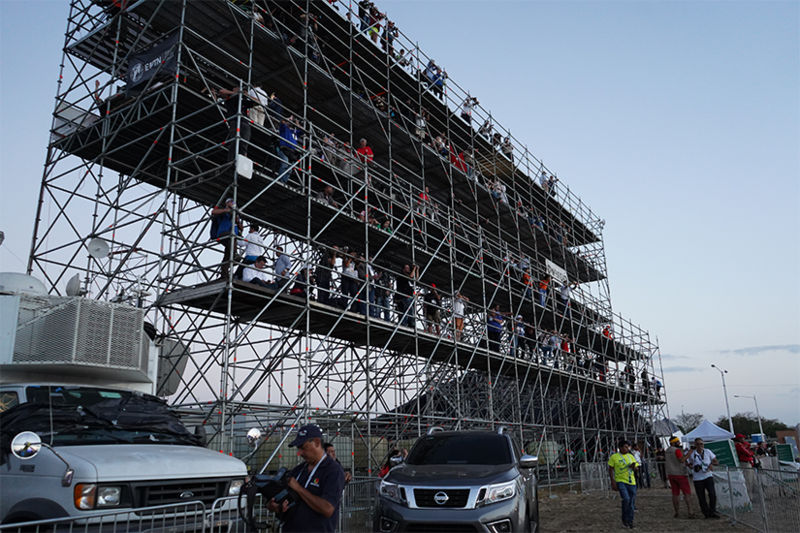 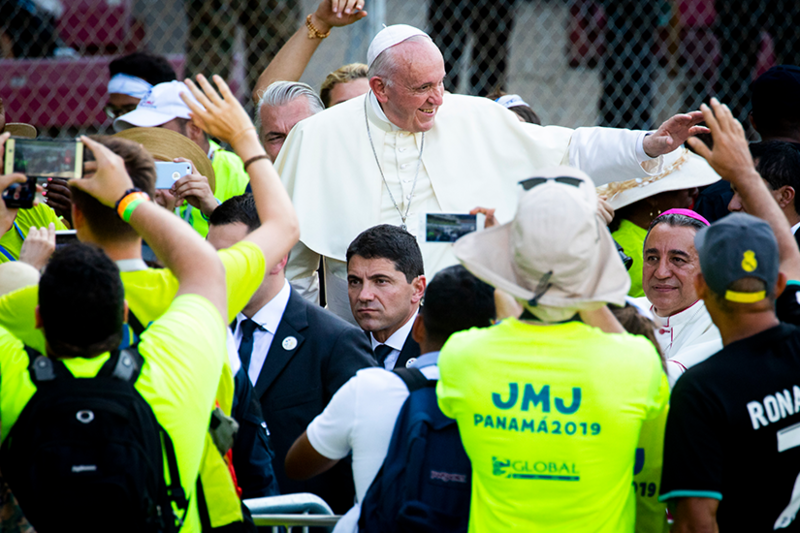 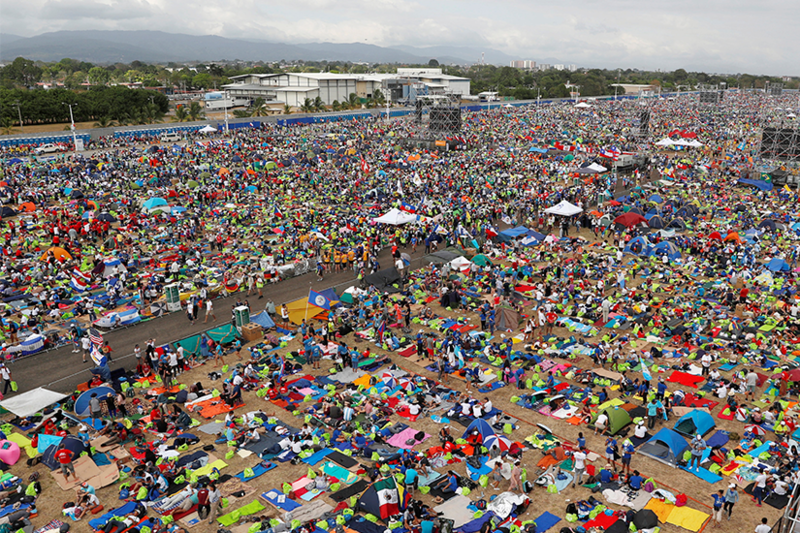 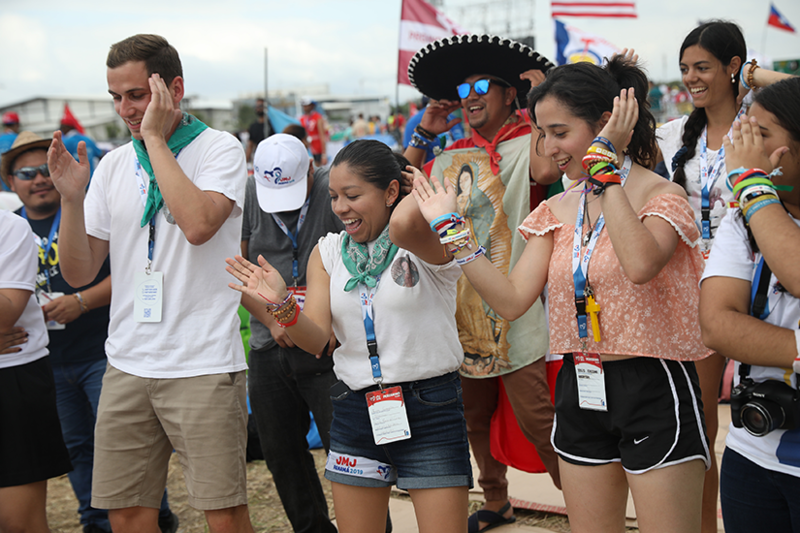 WYD officially began Jan. 22, but kicked into high gear with the arrival of Pope Francis on Jan. 24. 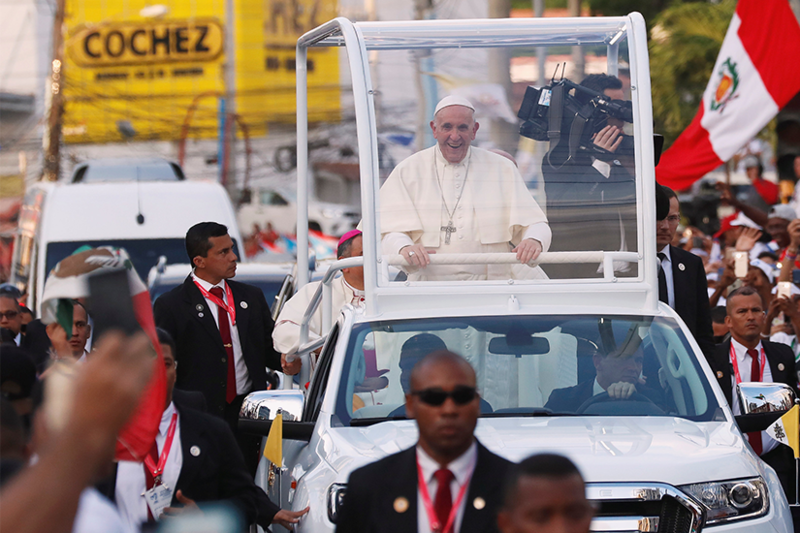 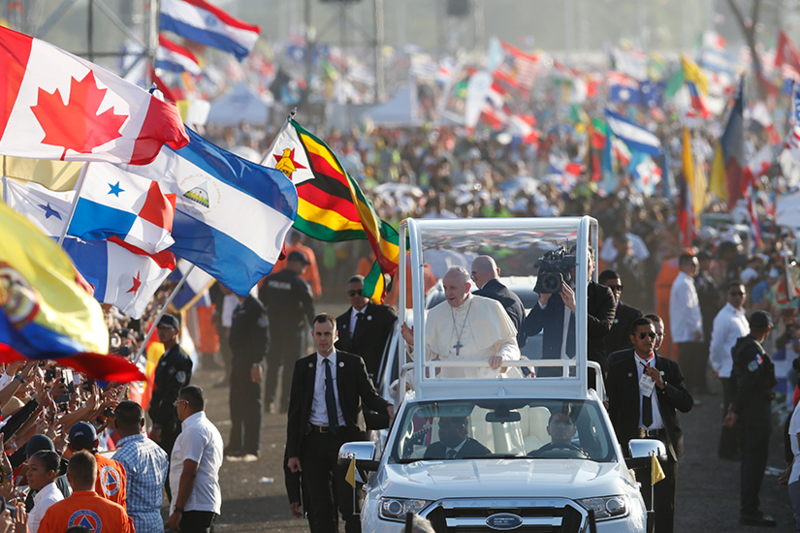 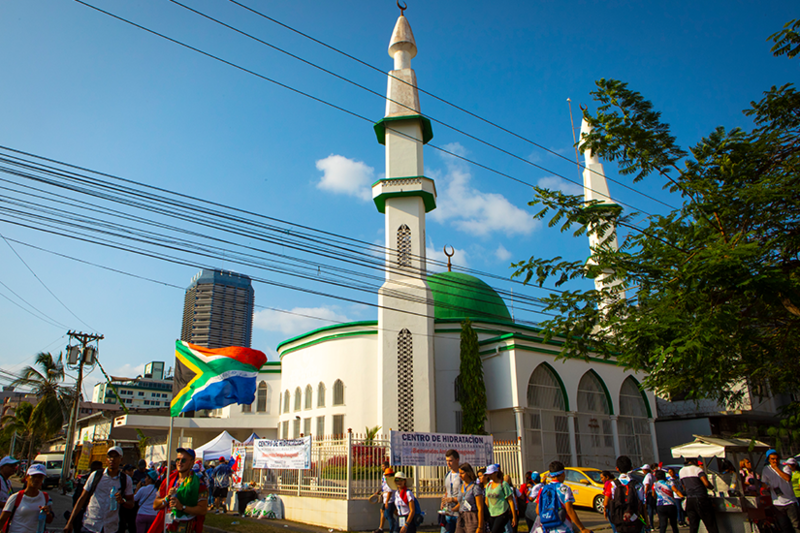 Under a hot sun, flags and pilgrims of all nations greeted him as he made his way through crowds at each event in the popemobile. 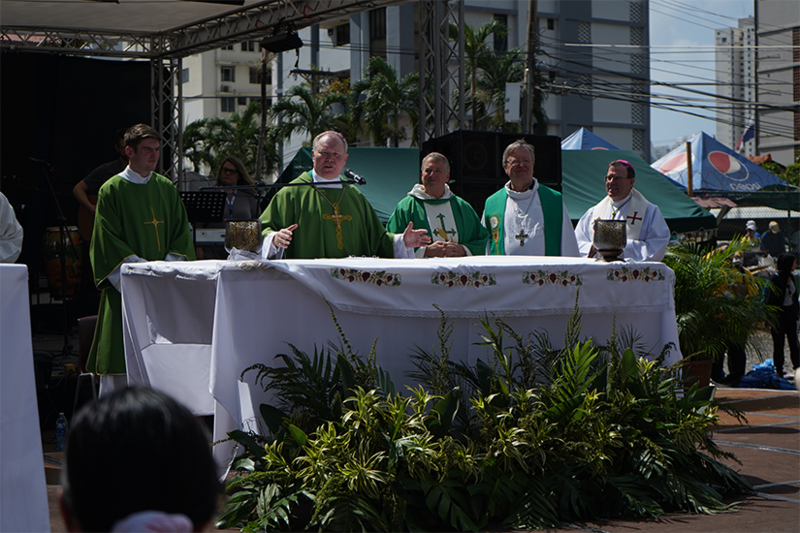 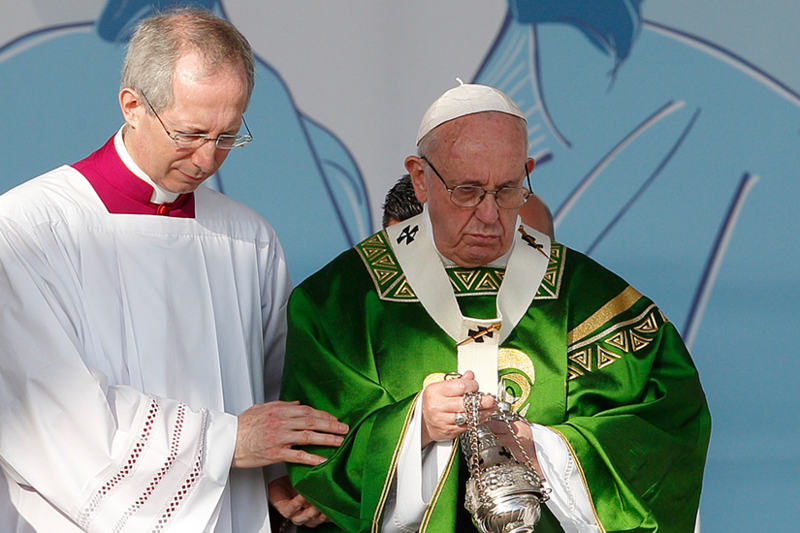 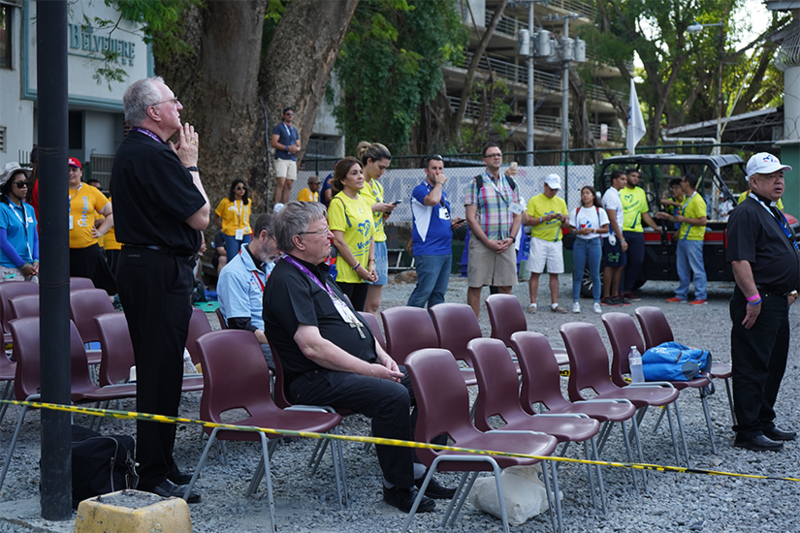 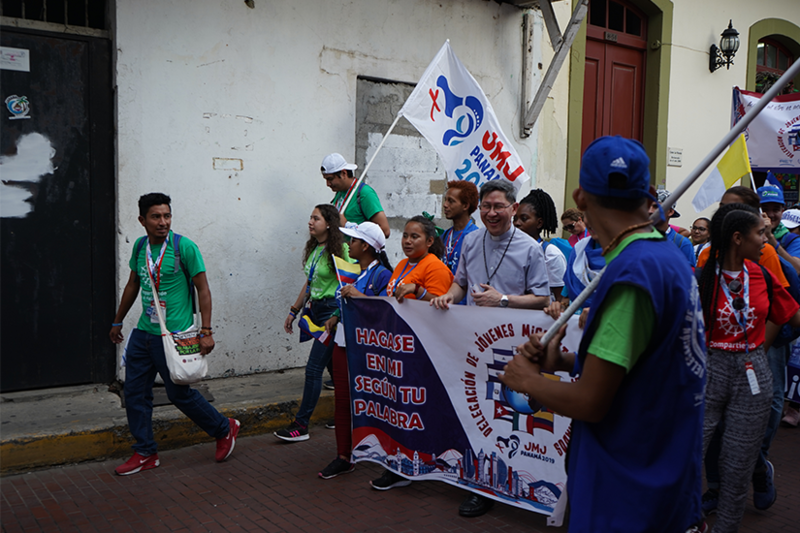 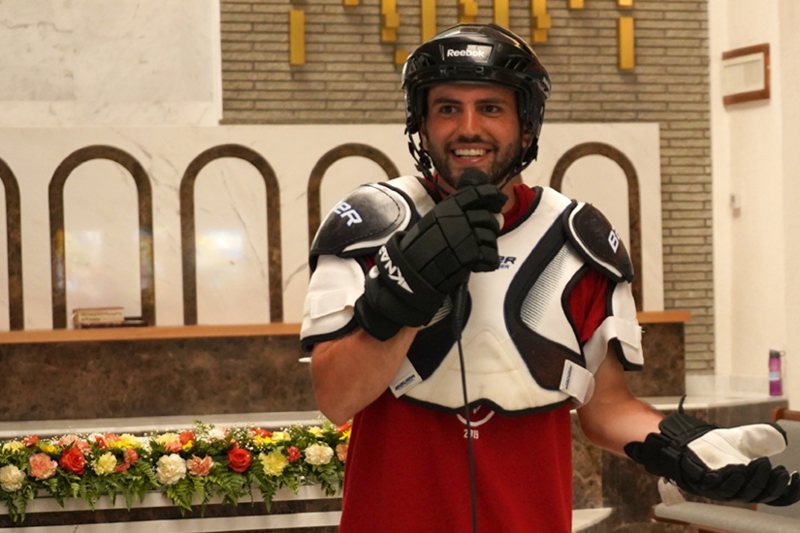 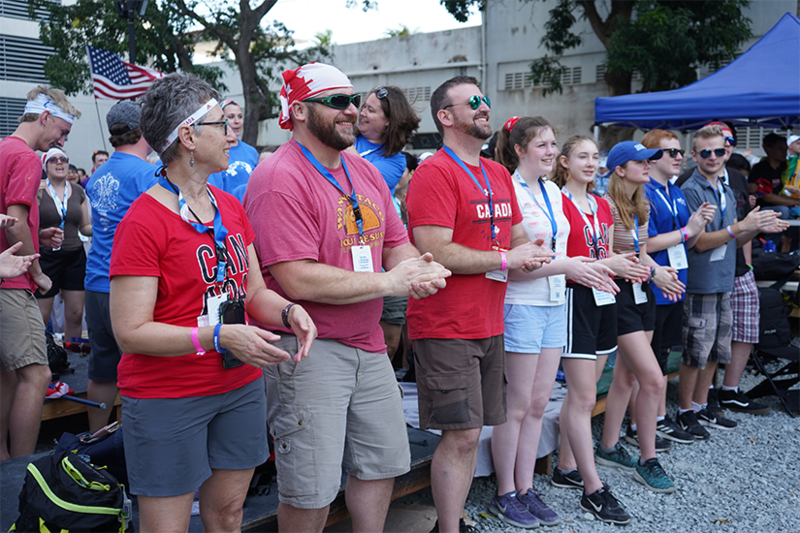 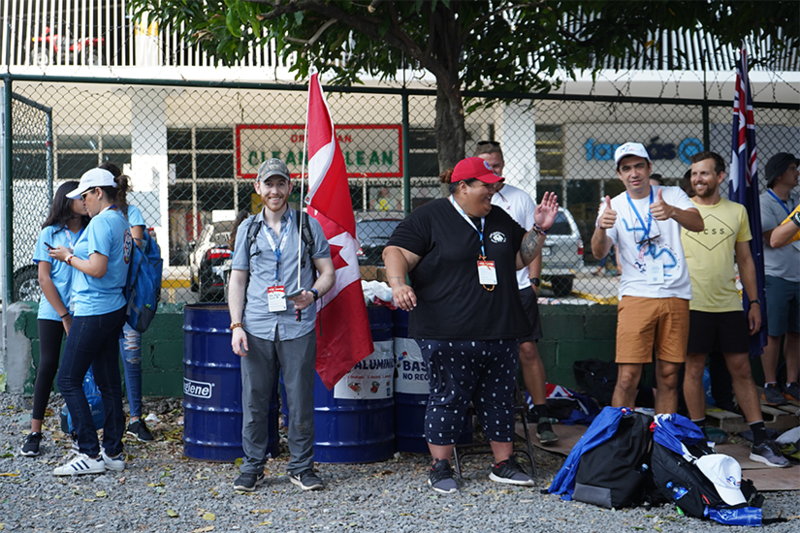 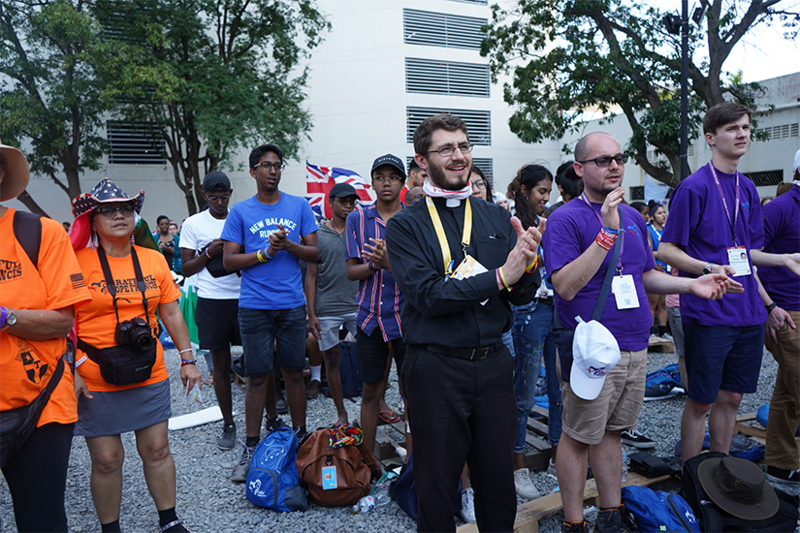 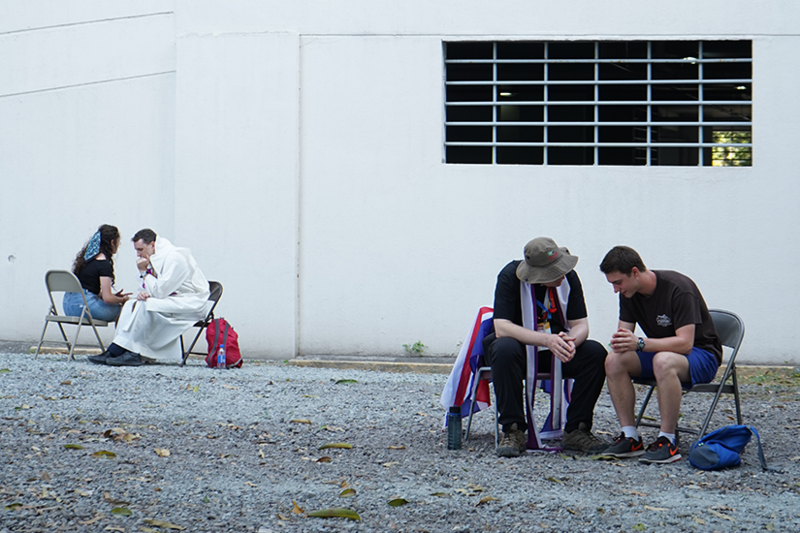 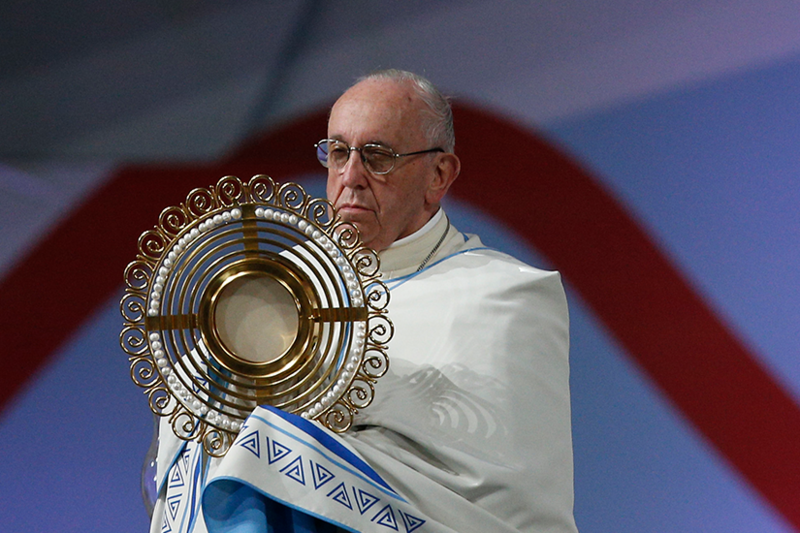 He led the youth at a WYD prayer service, the Way of the Cross on Jan. 25 and the evening Vigil the next day. 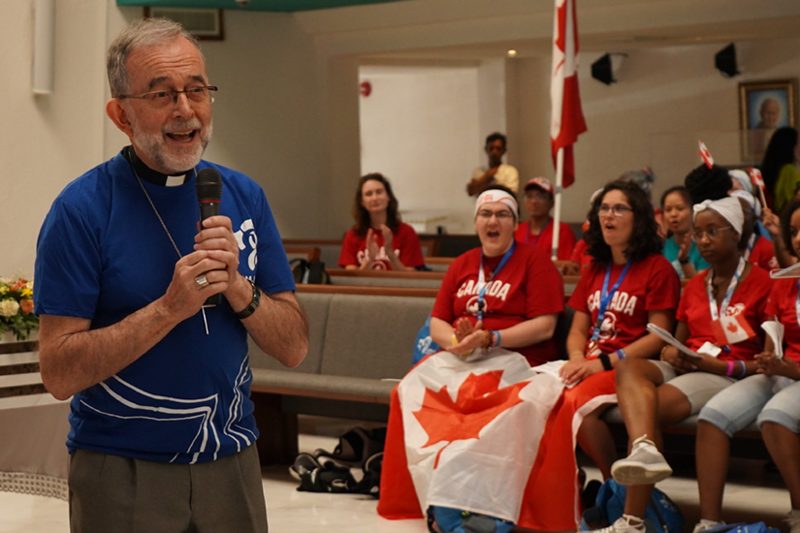 He also met with Church and civic leaders, heard confessions, visited a hospice and said Mass at a juvenile detention centre. 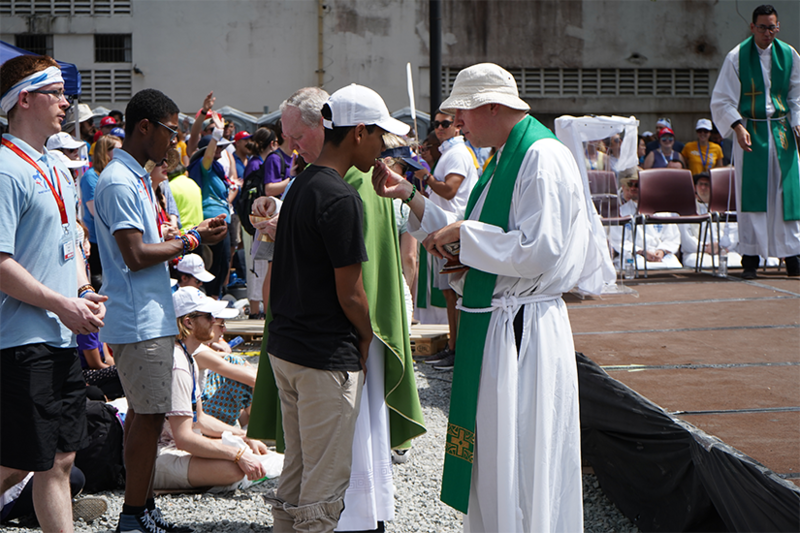 “You, dear young people, are not the future but the now of God,” he said in his homily at the closing Mass. 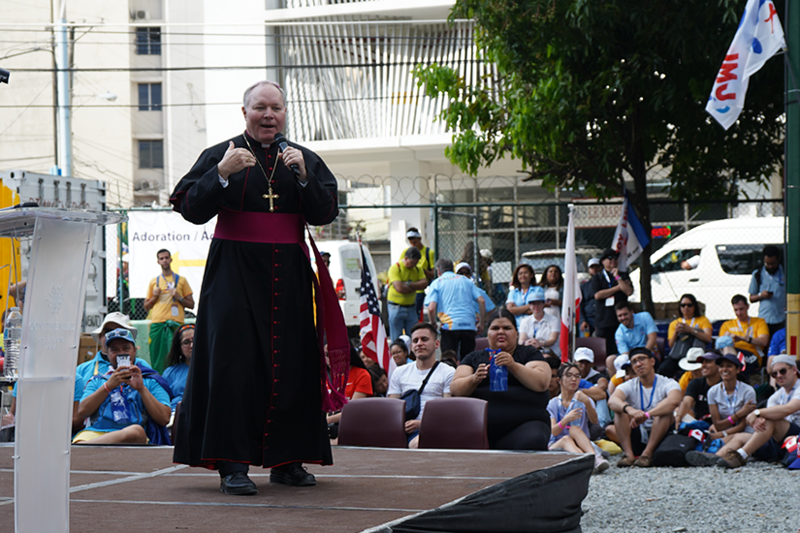 “He invites you and calls you in your communities and cities to go out and find your grandparents, your elders; to stand up and with them to speak out and realize the dream that the Lord has dreamed for you,” he said. 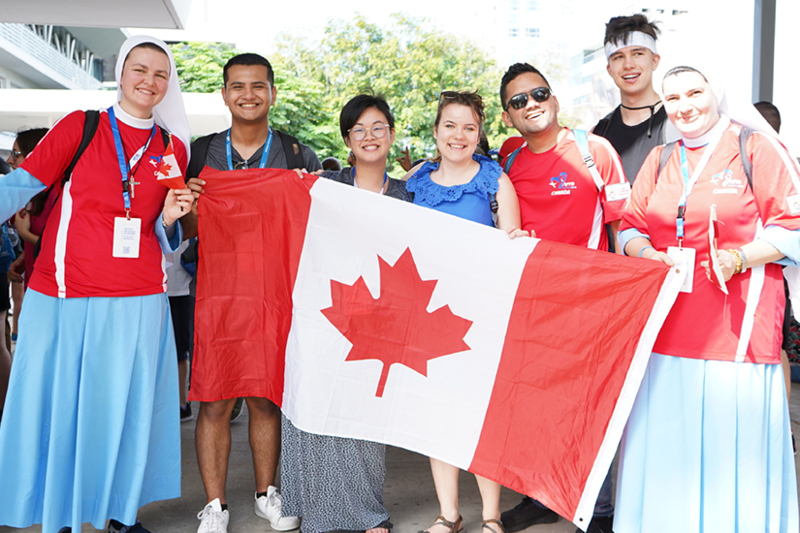 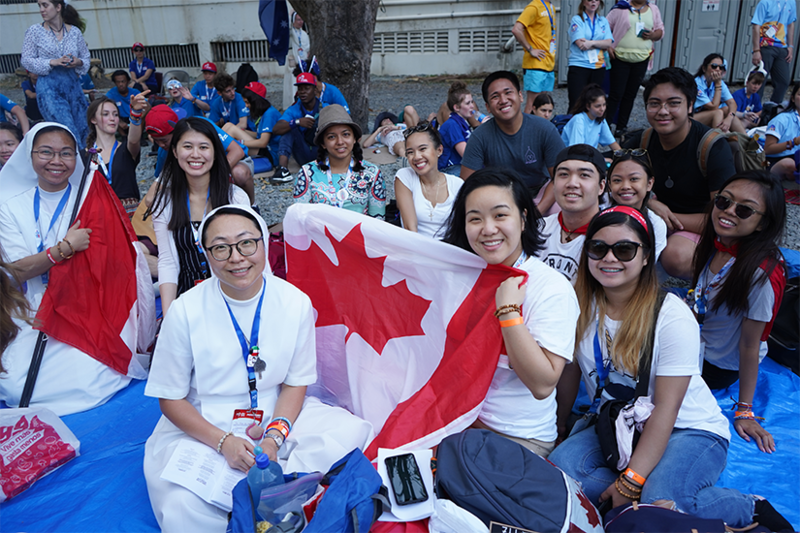 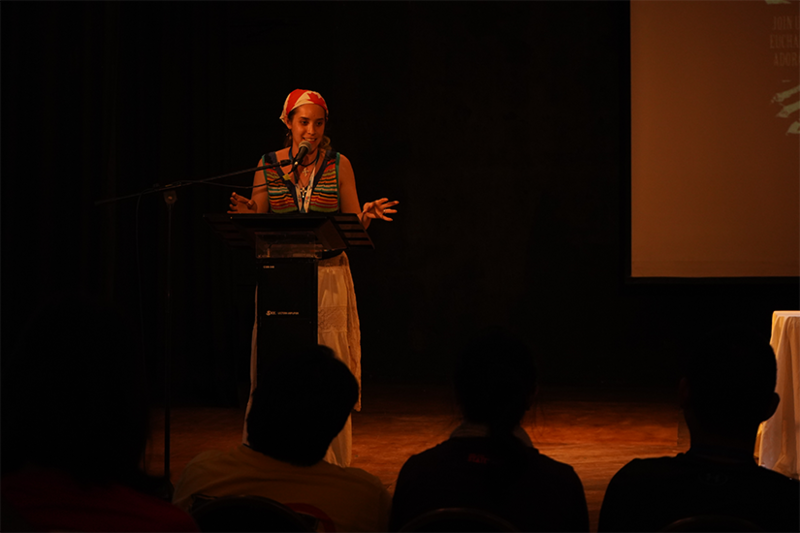 Lam said in her days at WYD, God spoke to her heart in a way that she never experienced before. 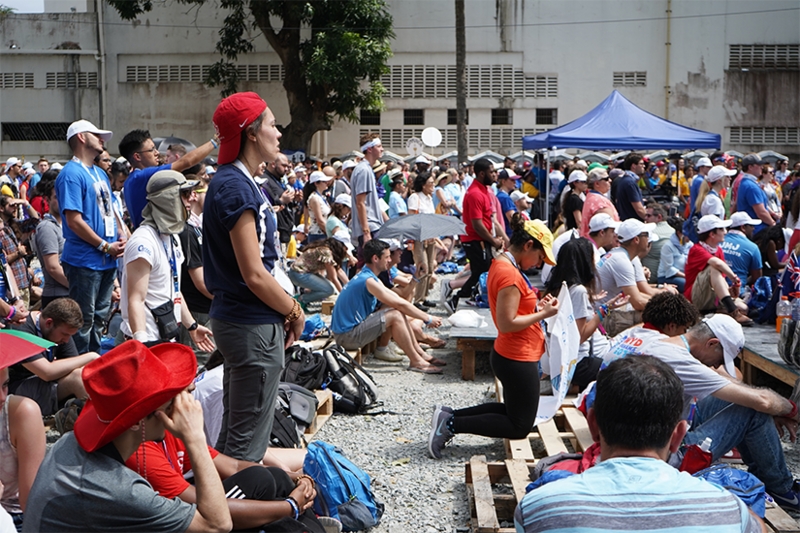 During the Way of the Cross, she said she was profoundly struck by the story of Jesus’ Passion. 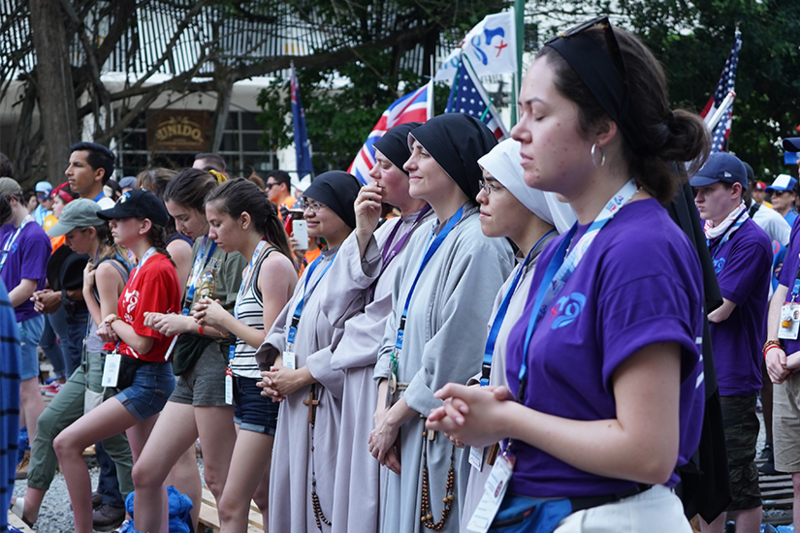 It is a story she’s known most of her life, but there was something about praying with thousands of other young Catholics that brought her to her knees. 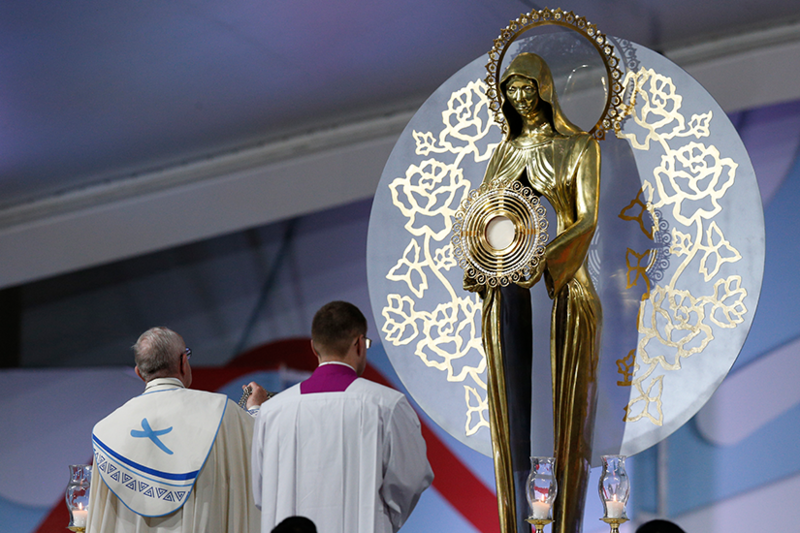 The theme was from the Annunciation of the Blessed Virgin Mary, “I am the servant of the Lord. 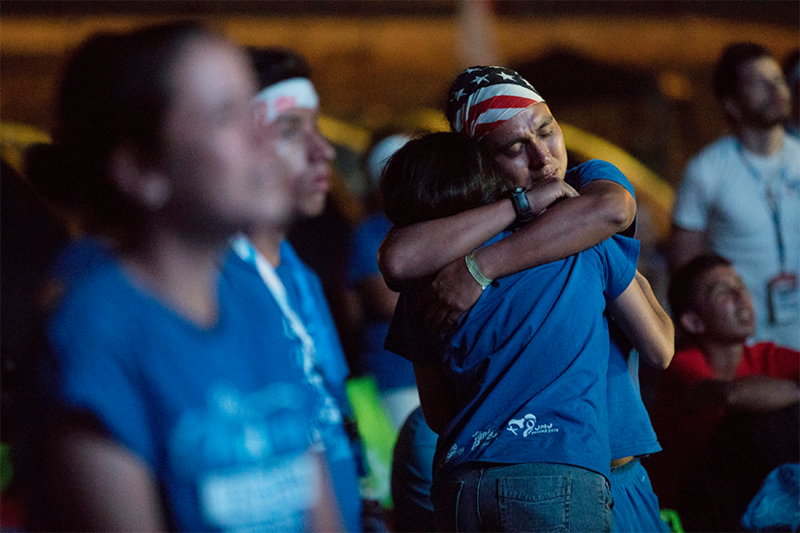 May it be done to me according to Your Word” (Luke 1:38). 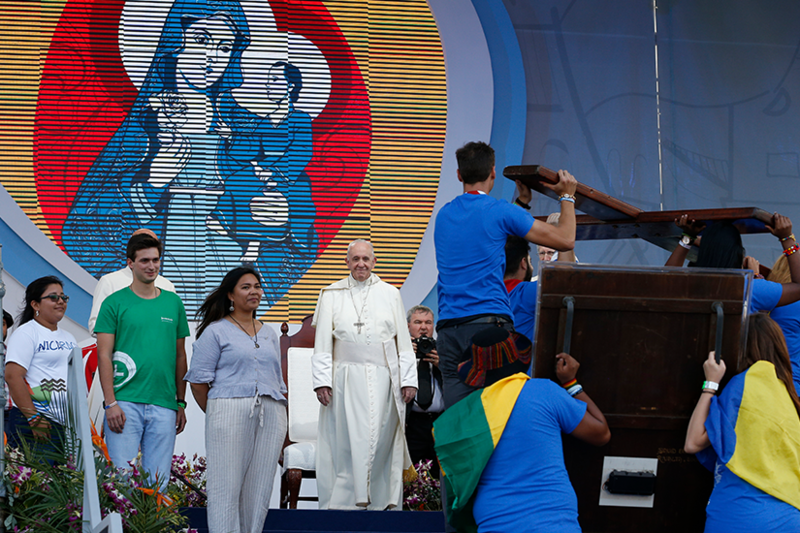 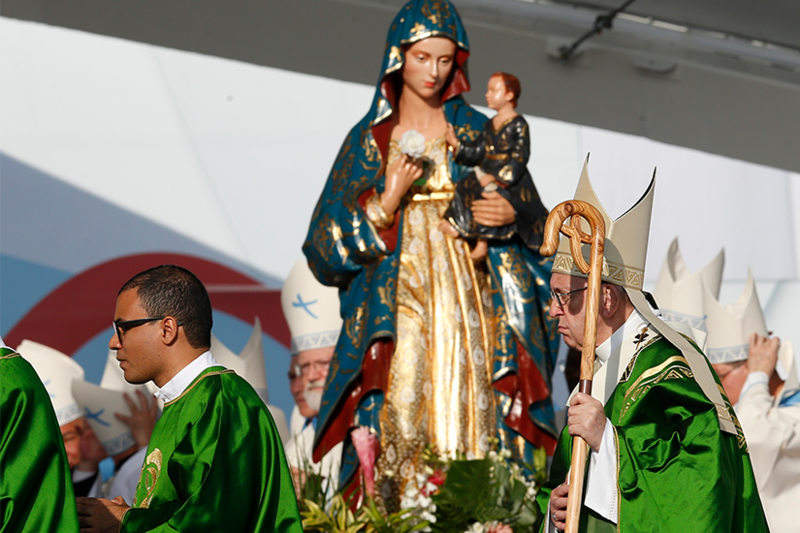 Pope Francis used the story of Mary’s fiat (“let it be done”) to encourage young people in their call to mission in the Church. 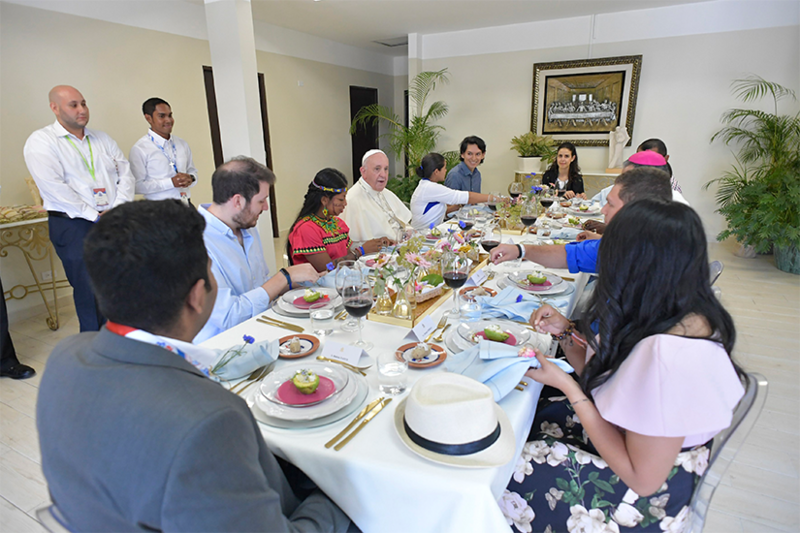 He talked about the challenges of the digital age, the plight of Indigenous peoples, migrants, refugees and care for our common home. 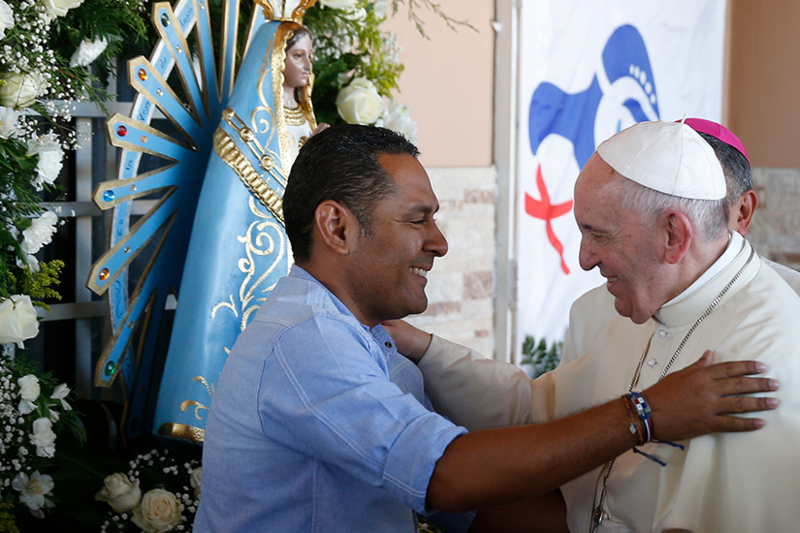 “(Pope Francis) was very strong, saying to the young people, don’t let us older people say you are the future. 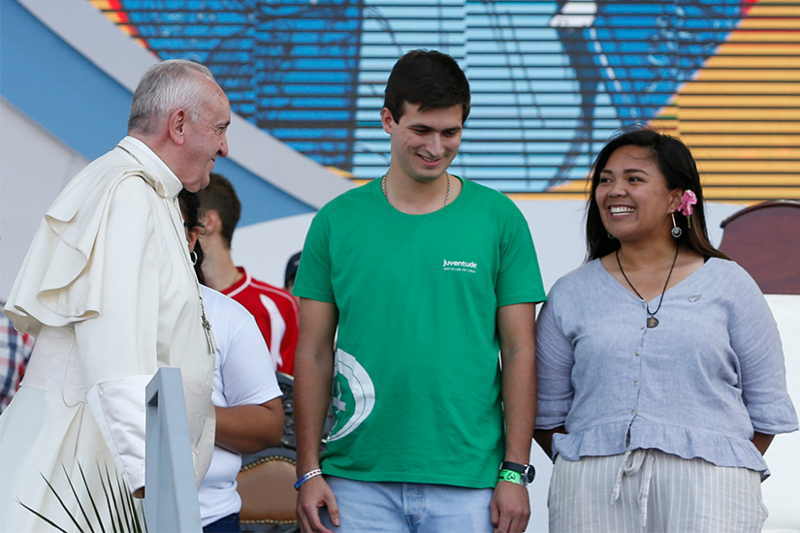 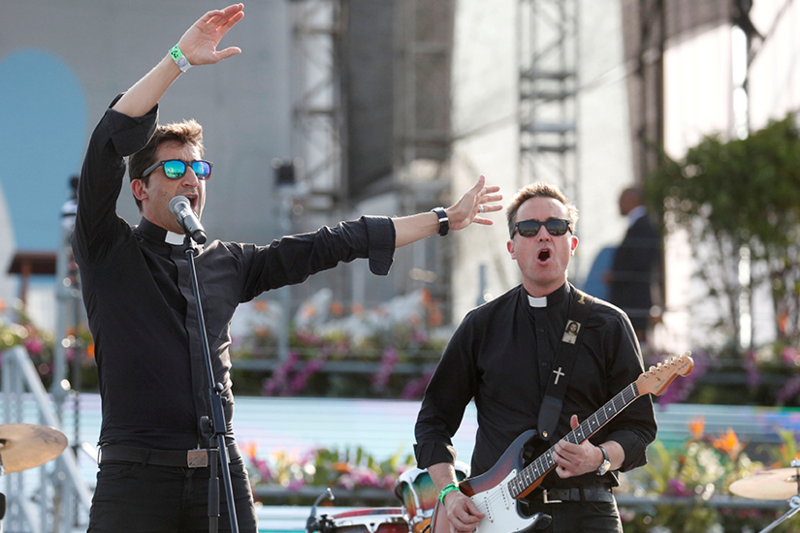 You are the present and this has been his message all along, even at the Synod (on Young People),” he said. 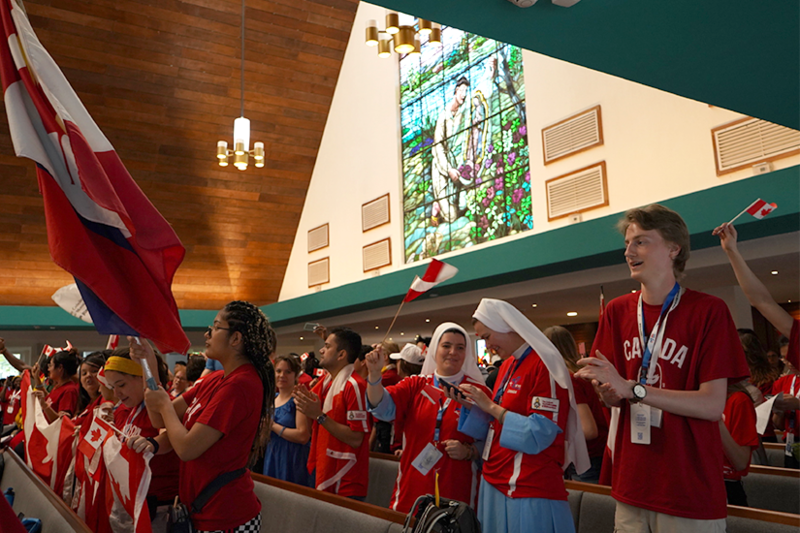 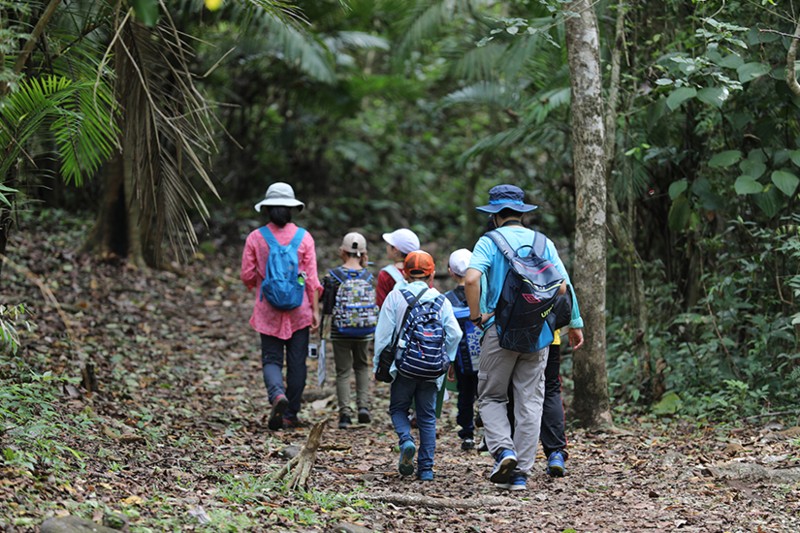 “The way we do celebration here, like with joy and love. 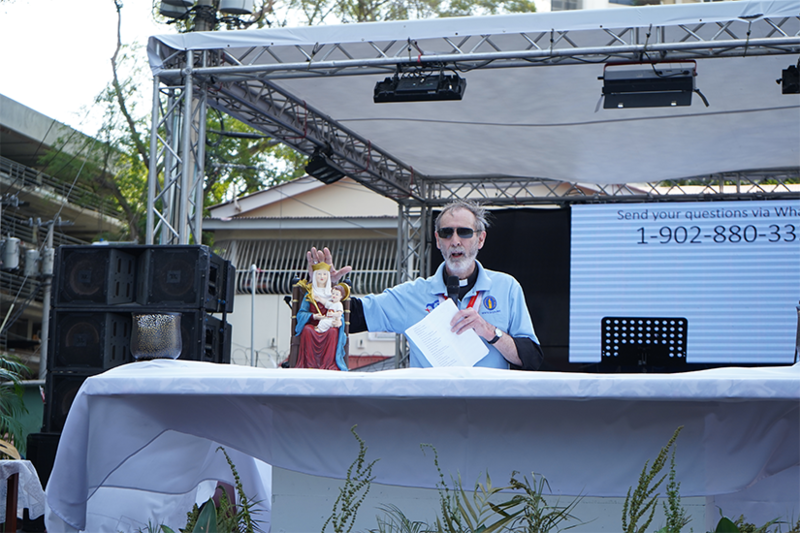 I think it’s more important to remember that Jesus wants us to express our faith with joy and love. 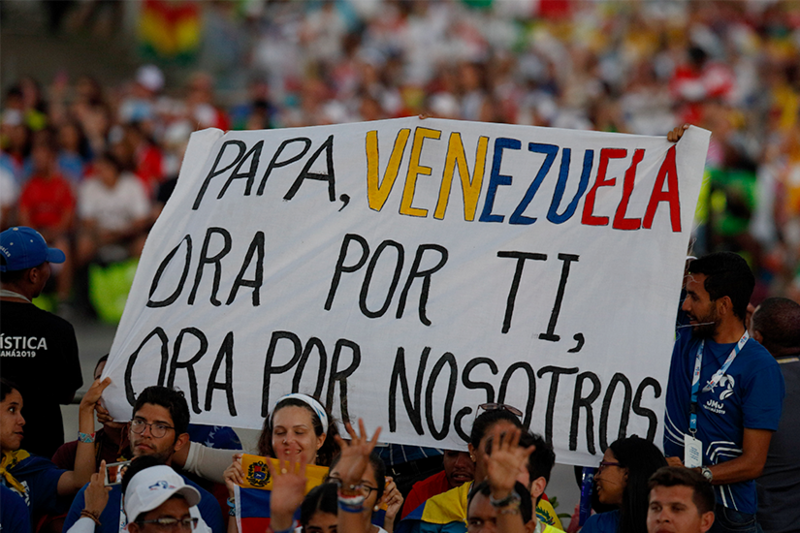 That’s what I want to bring back,” she said. 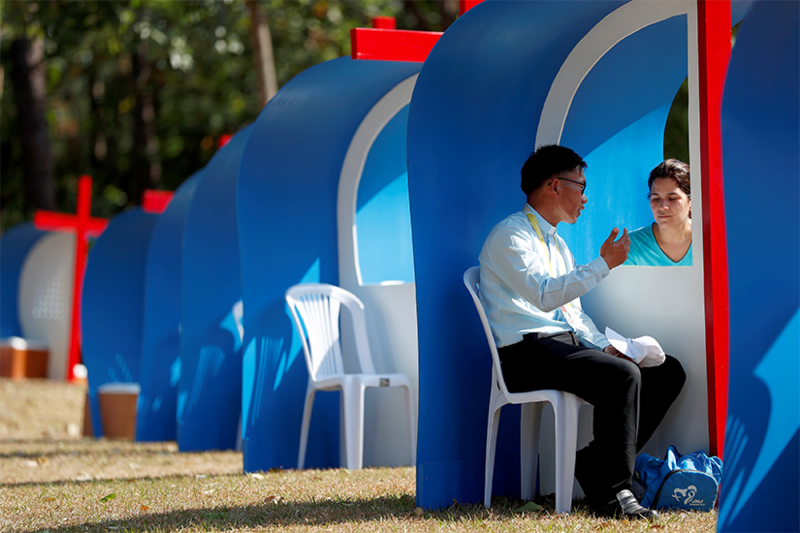 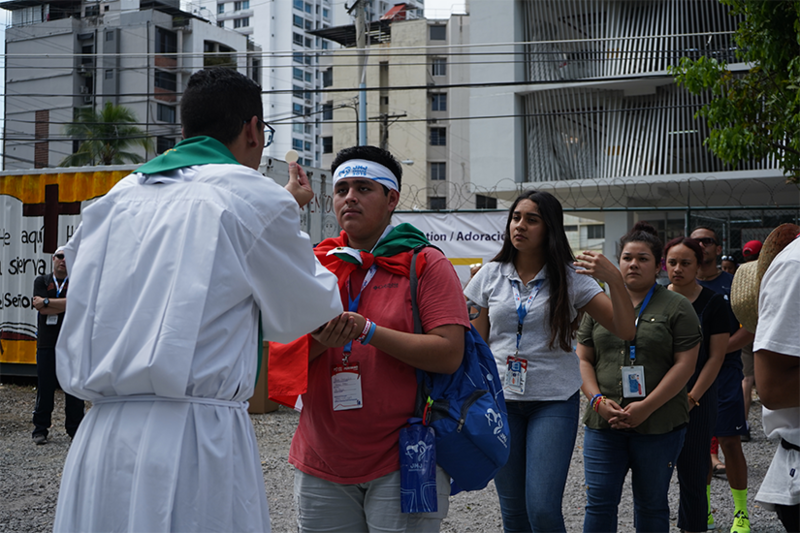 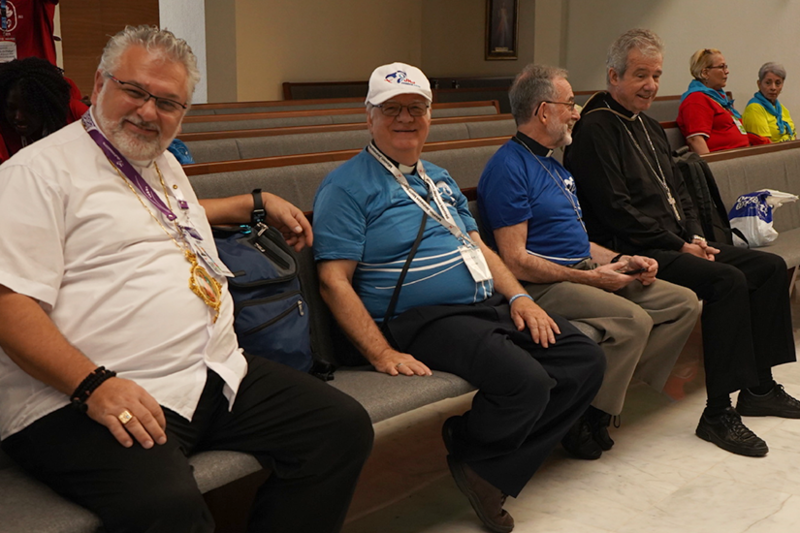 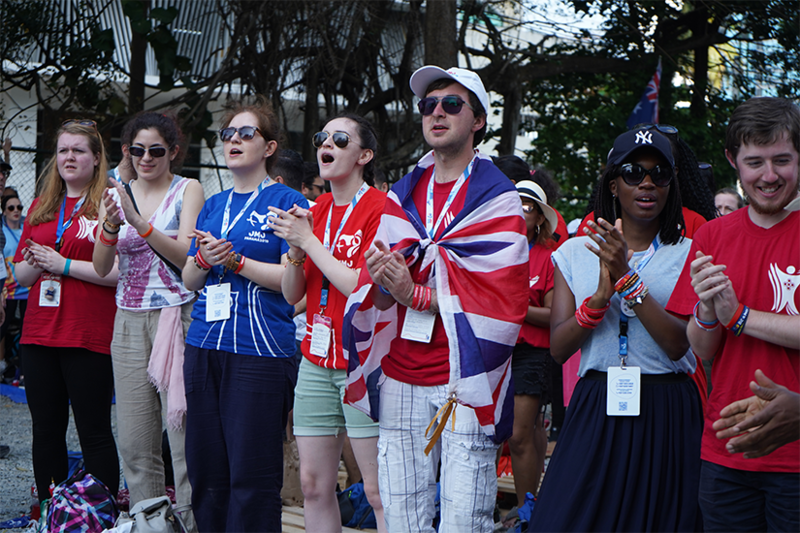 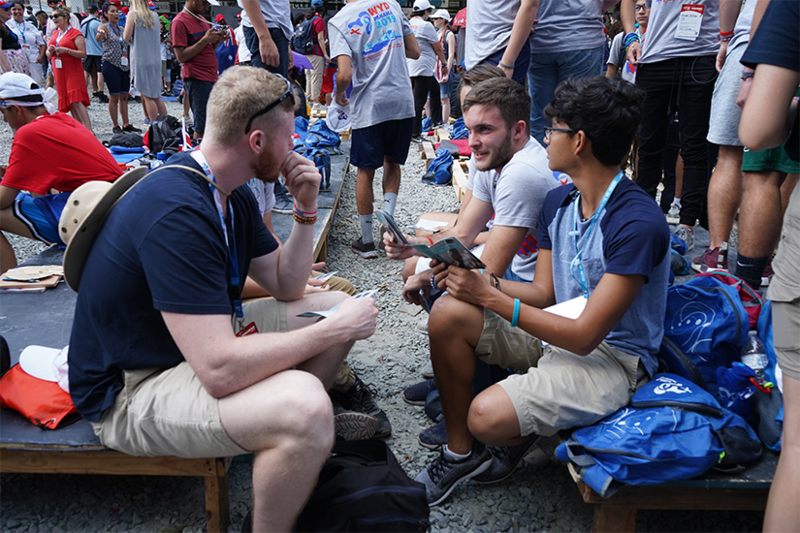 The main role of the bishops at WYD is to provide catechesis during events held the first three days of the week. 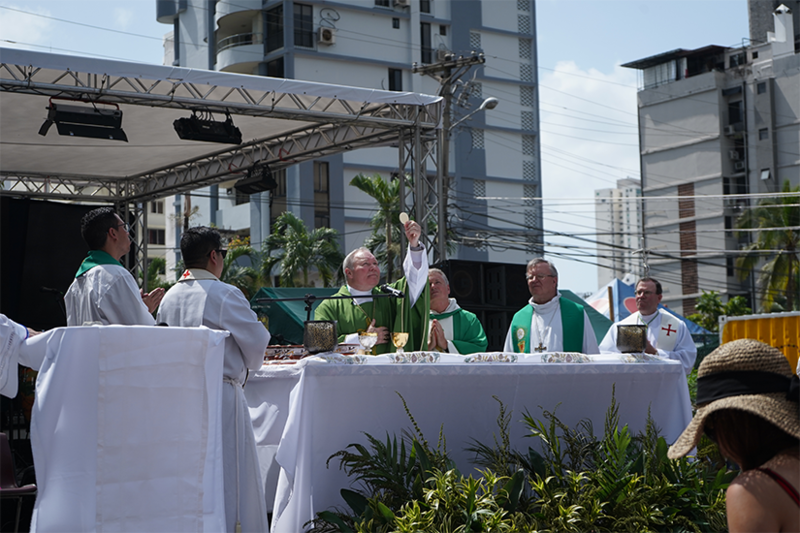 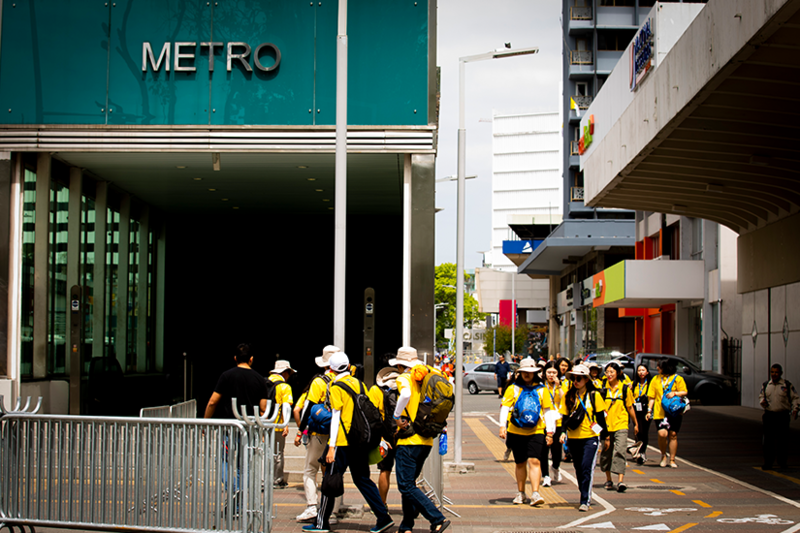 About 380 bishops gave catechesis at 137 parishes and public centres throughout the city, in 25 different languages. 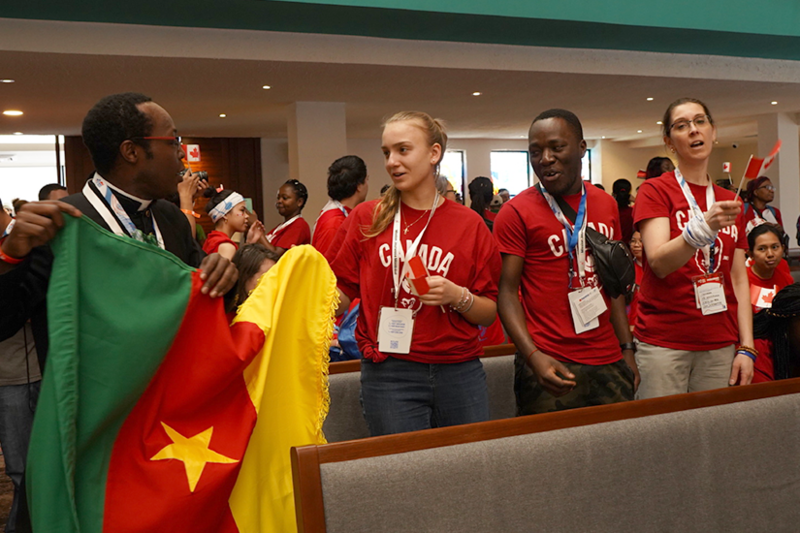 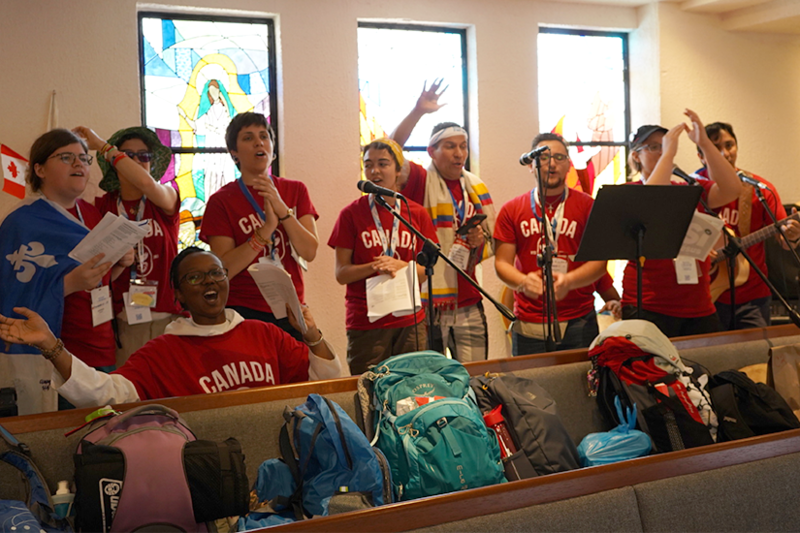 “When (youth) ask me hot-button topics and I have to witness it and they cheer, I know that they want to hear the truth,” said Ottawa Archbishop Terrence Prendergast. 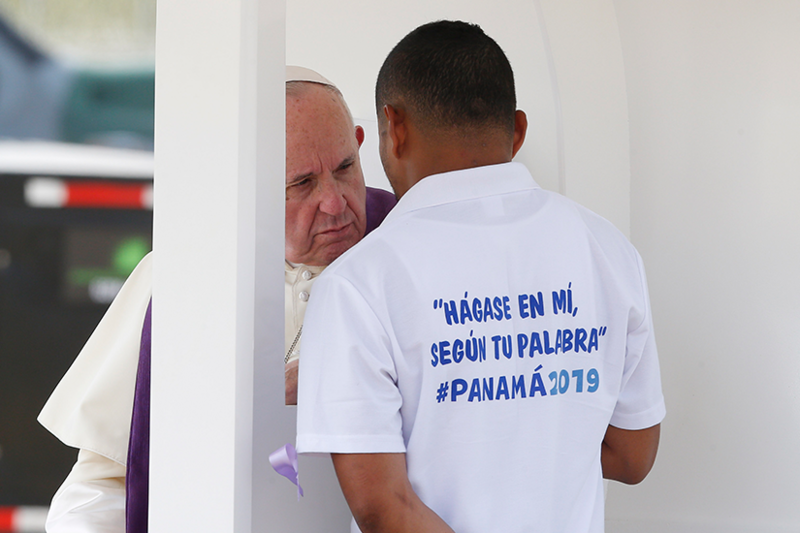 But this WYD is bittersweet for Santos, who said it will be his last WYD.